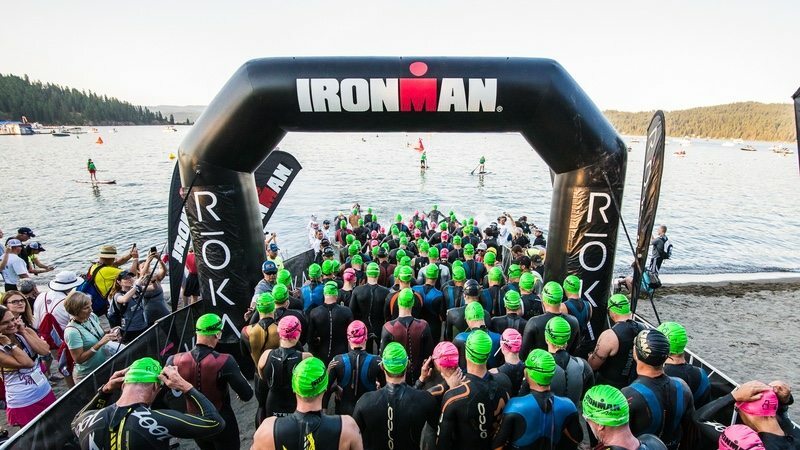 The IRONMAN Foundation will distribute US$60,000 in charitable giveback to non-profit initiatives and groups in the greater Idaho Panhandle and Spokane regions in conjunction with this year’s IRONMAN Coeur d’Alene triathlon taking place on Sunday 27 August. As part of the giveback, new goggles will be given to the city of Sandpoint’s lifeguards. Community grants will also be awarded to the Coeur d’Alene Recreation Department, Salvation Army Ray and Joan Kroc Center, Boys & Girls Club of Kootenai County, Kootenai Health Foundation and North Idaho College Foundation. The Coeur d’Alene Recreation Department will use its community grant to support multiple recreation and fitness activities in Kootenai County, including Specialized Needs Recreation. The Salvation Army Ray and Joan Kroc Center will use their grant to fund the ‘Third Grade Learn to Swim Program’, where, for eight years, thousands of local children learn to swim annually. Grant funding will support multiple initiatives for the Boys & Girls Club of Kootenai County, Kootenai Health Foundation and North Idaho College Foundation. The IRONMAN Foundation Community Fund provides community and volunteerism grant opportunities to non-profit organizations where IRONMAN events are held. In 2017, The IRONMAN Foundation will distribute more than US$1.5 million in grant funding to support the needs of IRONMAN race communities across North America.